How Americans (and the rest of world, which is quickly catching up) interact with technology is a remarkable transformation, circa 2014. According to a ComScore release, mobile app usage has exploded, leading online publishers are posting revenues that should shame traditional print industry, and traditional TV ratings saw pronounced declines with viewing habits changing fast. Clearly, your business is in for a challenging ride through this transformation. Businesses have to continually adapt; only now the need for change is drastic. One of the changes every business needs to consider is the shift from shameless push to authoritative pull. Your business needs a digital footprint as Steve Cody – co-founder of Peppercomm – advocates. A digital footprint isn’t a fancy addition to your marketing task list. It’s a necessity. In fact, he believes that a digital footprint isn’t a fancy addition to your marketing task list. It’s a necessity. You either have a digital footprint, or you don’t. Businesses that have a regular blog get more leads. Period. Marketers who make it a priority to blog are 13X more likely to benefit from a positive ROI, according to HubSpot. Overall, around 79 percent of companies that have a blog report a positive ROI. But forget statistics and the apparent benefits of blogging for lead generation. Instead, look at it this way: If customers have to trust you before buying, you’d need a channel to build that trust. Plus, you open the doors to communicate, interact, and manage a community around your products and services. If you don’t blog, do it now. The more people you know, the better you sell. Social media amplifies who you know and what you publish on your blog. Social media isn’t for sales. It’s not a place where you’d wake up each morning to push your products. It’s not a marketplace. As you use hash tags to share content, communicate with others in real time, and go out of your way to leave a thank you tweet (for instance), you are building relationships at scale. Social media has “social” in it, as Jay Baer of Convince and convert says. Be social and stop chasing ROI for every social update. The average shelf life of your favorite social site is about 3 hours, according to Pamela Vaughan of HubSpot. You obviously need to nurture your leads a lot longer than that. That’s where Email marketing retains its supremacy for the simple fact that emails are permission-based and they last longer in the inbox. According to the Direct Marketing Association, email marketing has an astounding ROI of 4300%. Stop chasing small wins and focus on the big champion, which is still email marketing as Graham Charlton of Econsultancy.com writes. Google and Facebook (now also along with LinkedIn and Pinterest) all have paid advertising options for every business to consider. Why, you ask? It’s the fastest and smartest way to generate leads for your business. The ads show up when your prospects look for you (or sometimes when they are not looking). You can determine how much you want to spend. You can test and optimize ads, headlines, landing pages, and the resulting workflow. Do it right and you have an ocean of leads flooding you until you have another problem to consider: scale and growth to meet demand. 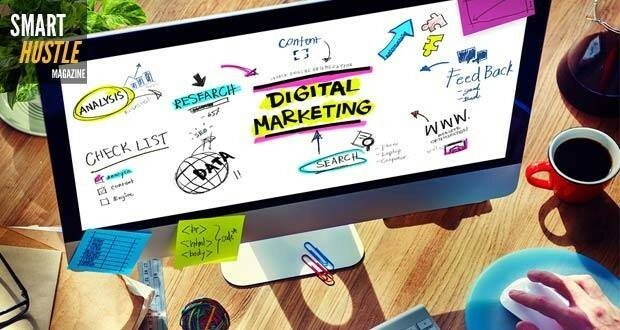 How exactly are you working your digital marketing channels? Ash is a hustler and a digital marketer. He is the co-founder of FetchProfits, an end-to-end digital marketing agency that specializes in making Internet presence profitable for small businesses. He travels the world, digs his head in books, and a foodie that he is, he eats up anything edible.